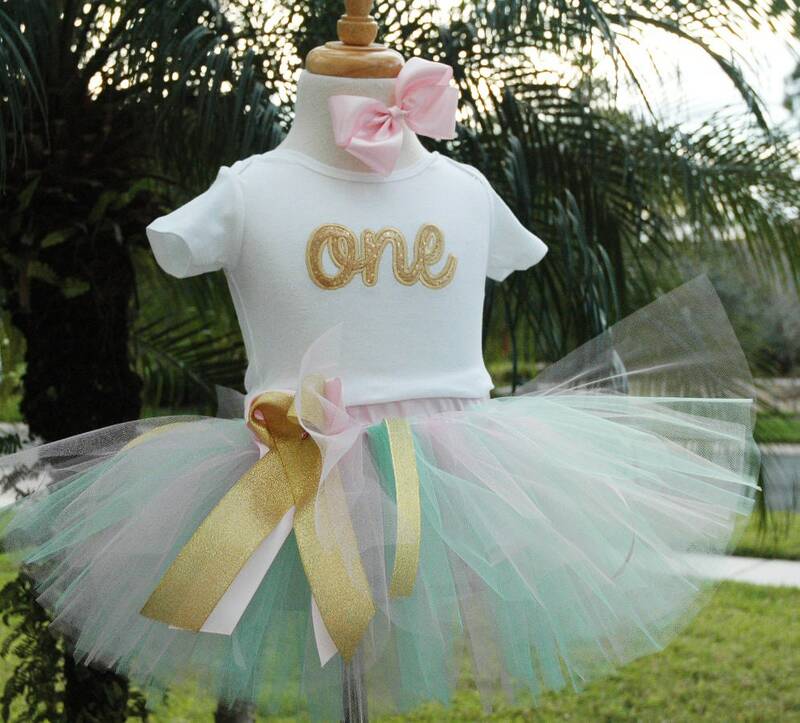 Beautiful Mint,Pink, Gold Baby Girl 1st First Birthday Outfit. Custom Made. Each is delicately handcrafted to perfection.Looks adorable in pictures. Ships in 3-5 days. USPS Priority 2-3 day delivery. Available for all ages. Custom made for each Princess. Can be customized to your 1st Birthday theme colors! Available for all ages please message me for details. Long sleeve available.